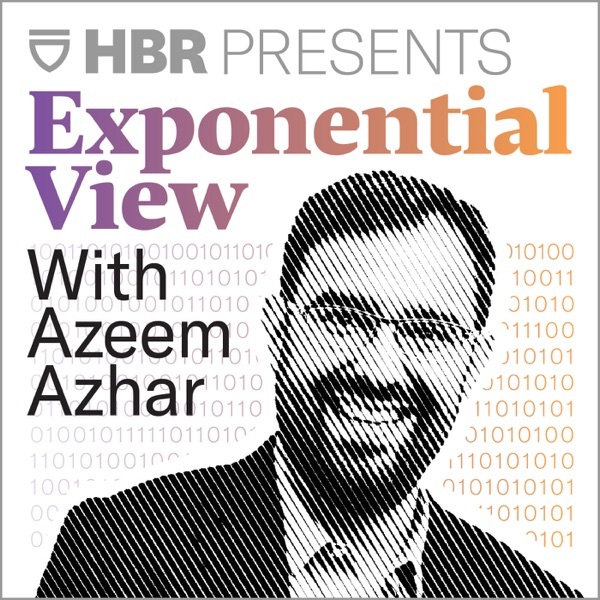 Exponential View with Azeem Azhar | Listen Free on Castbox. AI researcher and entrepreneur Trent McConaghy discusses how blockchain will unlock the value of data by bridging the gap between the AI haves and have-nots and, in turn, helping to create the data economy.The views expressed on this podcast are those of its hosts, guests, and callers, and not those of Harvard Business Review. University of Bath professor Joanna Bryson, a leading AI researcher, discusses the opportunities and consequences of developing human-like computational intelligence.The views expressed on this podcast are those of its hosts, guests, and callers, and not those of Harvard Business Review. Investor Cathie Wood, one of Bloomberg’s 50 people who defined global business in 2018, discusses the five innovation platforms shaping our future and strategies for investing in them.The views expressed on this podcast are those of its hosts, guests, and callers, and not those of Harvard Business Review. Parag Khanna, a leading international relations expert, recently published the new book "The Future Is Asian: Commerce, Conflict and Culture in the 21st Century." He talks about the law of technology diffusion, breaks common myths about Asia's development, and questions whether the future belongs to cities or nation-states.The views expressed on this podcast are those of its hosts, guests, and callers, and not those of Harvard Business Review. Elif Shafak, an award-winning British-Turkish author and human rights activist, discusses the polarization of culture springing out of the foundations of the open internet, and the ways to tackle the pervasive issues in today's digital technology sphere.The views expressed on this podcast are those of its hosts, guests, and callers, and not those of Harvard Business Review. Marietje Schaake, a Dutch politician and member of the European Parliament (MEP) from the Netherlands, talks to Azeem Azhar about the governance of cyberspace, the responsibility of technology companies, and the new era of geopolitical competition in cyberspace.The views expressed on this podcast are those of its hosts, guests, and callers, and not those of Harvard Business Review. Emil Eifrem is the CEO and cofounder of Neo4j, the graph database platform powering some of the largest companies today. He is the creator of the property graph model, and he coined the term "graph database" to describe the technology that would change how we understand big data.The views expressed on this podcast are those of its hosts, guests, and callers, and not those of Harvard Business Review. Jack Clark, the policy director at OpenAI, discusses the state of artificial intelligence development, the geopolitics of technology, and the implications of automation on society.The views expressed on this podcast are those of its hosts, guests, and callers, and not those of Harvard Business Review. Gina Neff, a senior research fellow and associate professor at the University of Oxford, explores technology development from a sociological perspective, as well as the implications of self-tracking and the quantified self for the individual and society.The views expressed on this podcast are those of its hosts, guests, and callers, and not those of Harvard Business Review. Michael Liebreich, a leading global expert on clean energy and transportation, discusses the significance of the U.S. National Climate Assessment and IPCC's report, the importance of staying below two degrees, and the role of exponential technologies in transitioning to renewables.The views expressed on this podcast are those of its hosts, guests, and callers, and not those of Harvard Business Review.